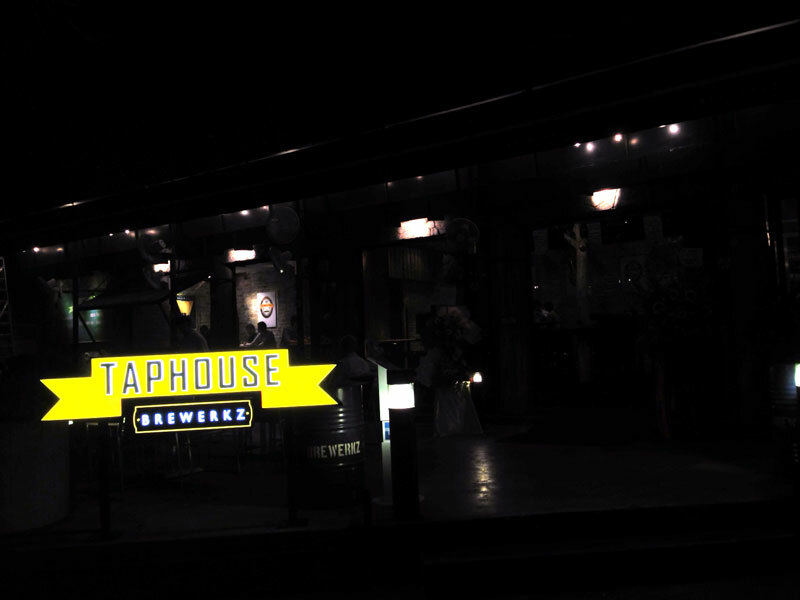 Taphouse is a new bar concept brought to you by the people that brought us Brewerkz. It is located in Dempsey Hill, which usually I don’t go to often as the price range is not accessible to us – Dempsey seems more like a rich person’s playground, judging by the kind of hardware you see up there. Thankfully, Taphouse is much more accessible to the regular man. Now with my rant about Dempsey out of the way, on to the review. The place sets itself up as an old town sports bar that could have been imported straight from the US. The food there is your typical American fare of burgers, wings and pizza. 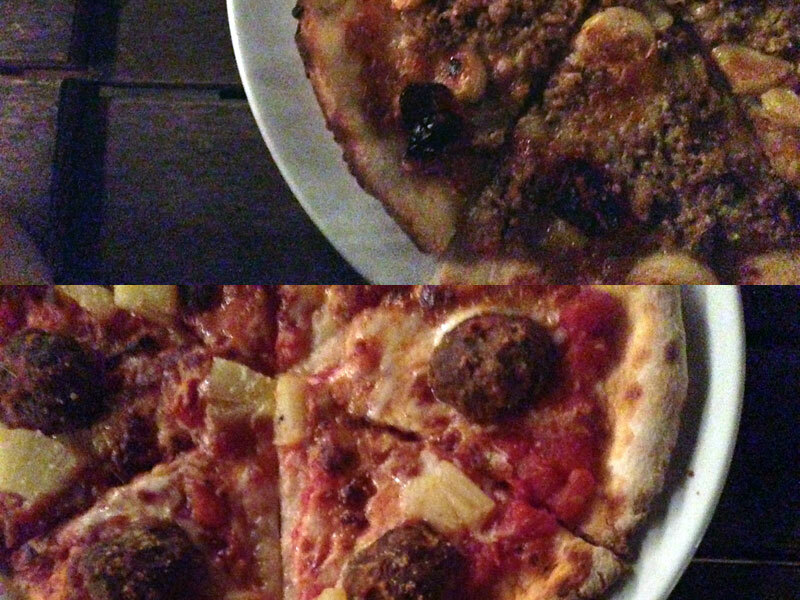 We picked pizzas ($21 each) for dinner – I had the Tiki and Natasha the Rustic. The Tiki is a spicy meatball and pineapple pizza, and the Rustic is a white pizza with Italian sausage and plenty of garlic. I don’t really understand white pizzas – a pizza is not a pizza without the tomato sauce, but by all accounts, Natasha enjoyed her pizza except it was a little oily. My pizza was solid rustic Italian pizza and the meatballs had some spice to them and the pineapple helped to soothe the heat of the meatballs. So all in all we were happy. Now onto the important thing: the beers. Brewekz started the craft brew scene back in 1996 so they’re all old hands at this game. I always expect a lot from their beers but normally end up disappointed. It’s no fault on their part though, my palate is after the more hoppy American style beers you can get imported into Singapore these days. They do have a solid range that is much more accessible to the new comers to craft beers. Their Golden Ale is an easy drinking summer ale, with very slight hop characteristics and I think a great place to start drinking craft brews with. Their Kolsch is drinkable and offers something slightly different to a straight up lager. If you have never had a Kolsch, I recommend you go down and try theirs. The American IPA is the only beer in the range with any real bitterness or hops flavouring, but again it is a gentle introduction to the world of IPAs. They do have limited edition beers every month. When we visited, it was a Black IPA and a Blackberry Honey Ale. Their Black IPA isn’t really an IPA at all, more of an English ale rather. I have not had the Blackberry Honey Ale so I can’t comment. My overall impression: I think it’s fantastic al fresco dinning with cool breeze and some greenery at Taphouse. It reminds me of summer holidays in the UK. The food and beers are solid, so if you’re around the area, I recommend you check it out. Sorry about the dark pictures! It was quite hard to shoot nicely there without going crazy on the flash! 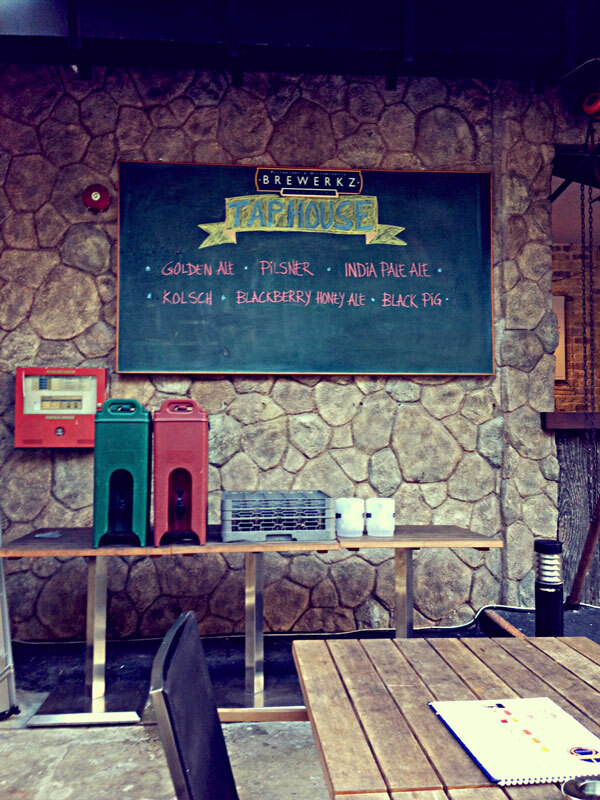 Brewerkz Taphouse is at 18E Dempsey Road. Tel: 6634 1229.